Officials say child predators tend to hide evidence on small flash drives and other devices, making investigations more difficult. Remi will be helping to find these crucial pieces of evidence. 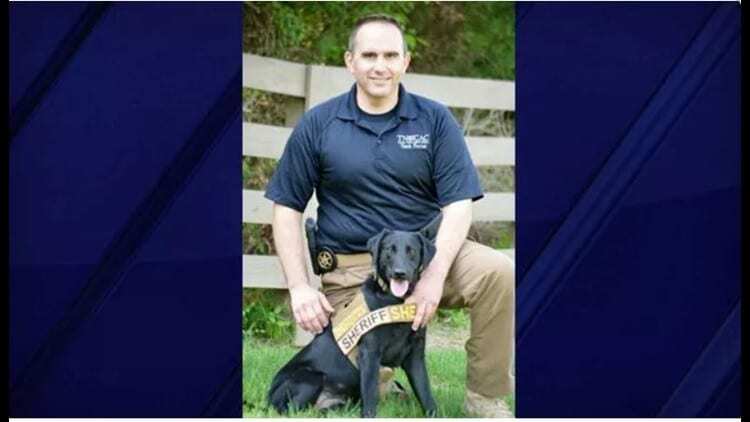 FRANKLIN, TN (WSMV) – A new K-9 officer is joining the Williamson County Sheriff’s Office to help find electronic evidence. Remi, a 2-year-old Labrador Retriever, specializes in sniffing out devices like cellphones, tablets, flash drives and SD cards. Remi is the first electronics detection dog to serve in the state of Tennessee and is one of few in the country. The K-9 will be used to help investigators with the Internet Crimes Against Children Task Force. Remi will also help to prevent the smuggling of cellphones into the Williamson County Jail. Remi began training at Nashville K-9 in December 2017. Nashville K-9 purchased, trained and donated the dog to the Williamson County Sheriff’s Office.